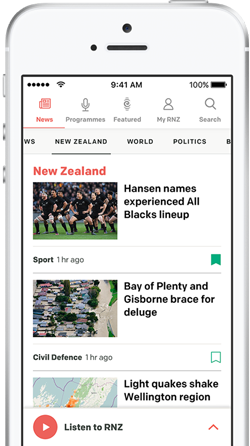 A US court has declined a request to confiscate a vessel owned by America's Cup champion, Oracle Team USA, as a lien for wages owed to a New Zealand sailor. Joe Spooner, who worked as grinder, is suing Oracle Racing for $962,879 in unpaid wages and damages for alleged wrongful discharge. Mr Spooner's complaint asked for the team's prototype AC45 racing yacht be arrested as soon as possible, as he suspected it would be moved from San Francisco to Bermuda on or before 5 March. According to American Maritime law, a vessel can be confiscated if a sailor is owed wages. But Chief Magistrate Judge Joseph Spero declined the request. "Having reviewed the parties' arguments, the Court concludes that no basis for a maritime lien is apparent from Spooner's complaint, and therefore declines to issue a warrant to arrest the vessel," he said. Judge Spero said a maritime lien is determined by whether a sailor had performed duties and not been compensated. But as Mr Spooner had been paid 15 days after he was "discharged from performing his contractual services" the lien did not apply, he said. In Mr Spooner's complaint, obtained by Radio New Zealand, it said Mr Spooner was to be paid $US25,000 a month under his contract, until seven days after the June 2017 America's Cup final in Bermuda. He was also to receive a bonus of no less than six months of average wages. But on 16 January Mr Spooner got a letter firing him, and he has not received payment since 31 January. The complaint said having been wrongfully discharged, Mr Spooner demanded his full wages for the duration of his contract by 9 February, but has yet to receive anything. Judge Spero said today's ruling will not effect Mr Spooner's personal claim. 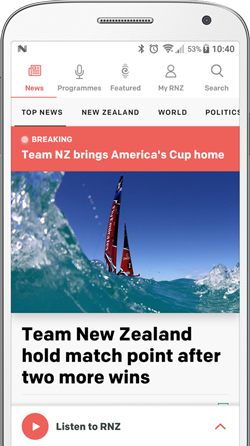 The lawyer for a New Zealand sailor formerly with the America's Cup champion, Oracle Team USA, is back in court filing more documents against the team. The next America's Cup will be contested in Bermuda in 2017 after defending champion Oracle Team USA chose the tiny mid-Atlantic island as host of the world's premier sailing competition.